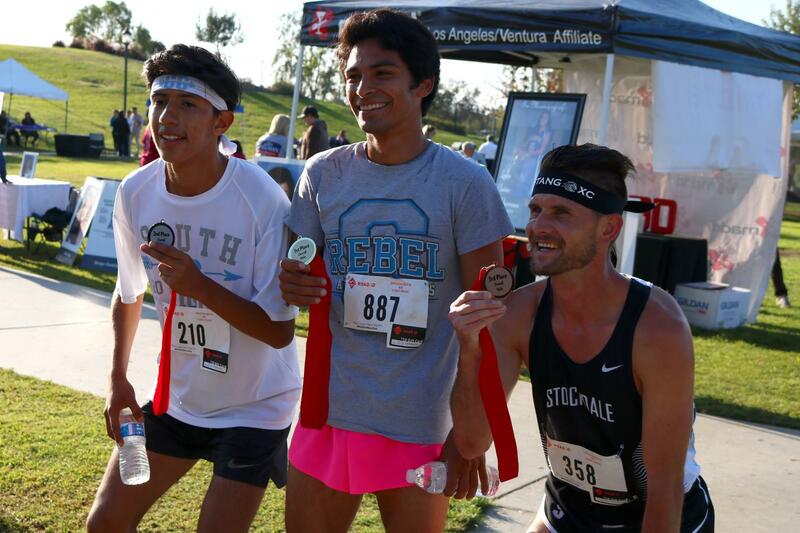 Sebastian Garcia, Mark Gulesian and Ryan Lucker show off their medals after participating in the MADD Dash event. Around 1,000 people came out on Sept. 23, to participate in the fourth annual Walk Like MADD and MADD Dash event at the River Walk Park, and to support the local Kern County office of Mothers Against Drunk Driving. The Walk Like MADD and MADD Dash has become one of the largest fundraisers in Kern County, raising more than $80,000 this year alone and bringing the total of funds raised in Kern County to more than $225,000 since 2014. All proceeds go toward helping victims of DUI crashes, raising awareness in the community, and continuing the fight in ending drunk and drugged driving. The event brought out local businesses, community leaders, law enforcement, and residents as they participated in a 5K and 10K run, as well as a kids’ fun run. Vendors, raffles, and various informational booths were also present at the family-friendly event. Before the rally and march, the morning began with an opening ceremony with statements from representatives of MADD, victims of DUI crashes, Assistant District Attorney Scott Spielman, Bakersfield Mayor Karen Goh, and Councilman Andrae Gonzales. 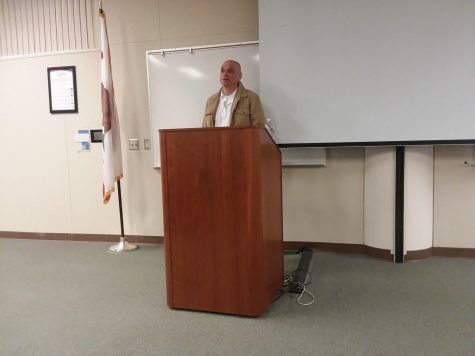 All advocated for a future without drunk and drugged driving, citing Kern County’s sense of community in the face of adversity. The Walk Like MADD and MADD Dash event first began in 2014, as Bakersfield became the first city to institute a running element to a MADD event. 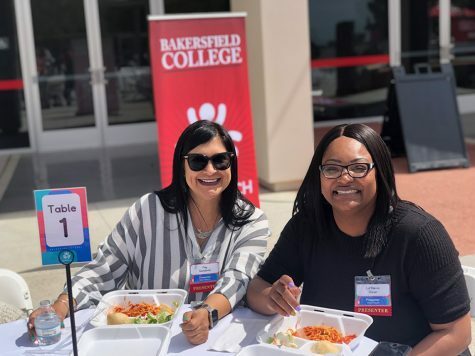 Carla Pearson, a victim service specialist for MADD Kern County, along with Chain | Cohen | Stiles started the MADD Walk/Dash and have been coordinating the Walk Like MADD and MADD Dash ever since. Pearson, who lost her own son to a DUI crash 15 years ago, saw little to no support for victims and their families impacted by drunk and drugged driving. She began a campaign in Bakersfield to help those affected and raise awareness of DUI crashes in Kern County. According to Pearson, with help from dedicated volunteers such as Jorge Barrientos – the current Marketing Director for Chain | Cohen | Stiles – the event has expanded to new heights. Barrientos – a volunteer of the MADD Walk/Dash since 2014, and one of the major coordinators, explained that there are three vital messages Mothers Against Drunk Driving tries to send to attendees about drunk and drugged driving. The second message, says Barrientos, is responsibility. Being aware of how much you are drinking and knowing you cannot go onto the road. Michael Benge and his family were victims of a DUI crash. His wife was killed and he and his two daughters were hospitalized Memorial Day weekend in 2004, when a driver under the influence crashed into them at nearly 100 MPH. “DUI crashes are 100-precent preventable” said Benge, who today travels with MADD giving talks and speaking with DUI drivers. Driving under the influence and the impression it leaves on victims are life changing, says Benge, which is why he and other volunteers at the Walk Like MADD and MADD Dash in Bakersfield will continue to combat DUI crashes, to build a future world without loss of life from drunk and drugged driving.